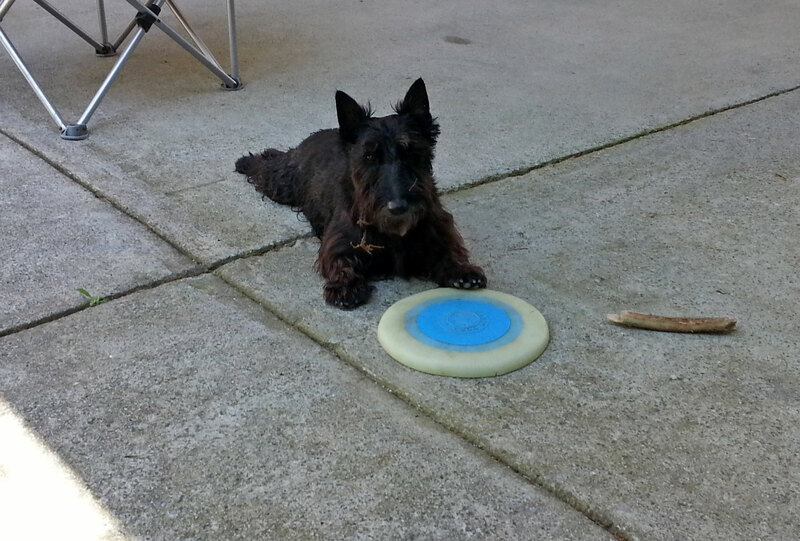 Heather and Mr. K were invited to spend time with a new Scottie friend named Valentine. 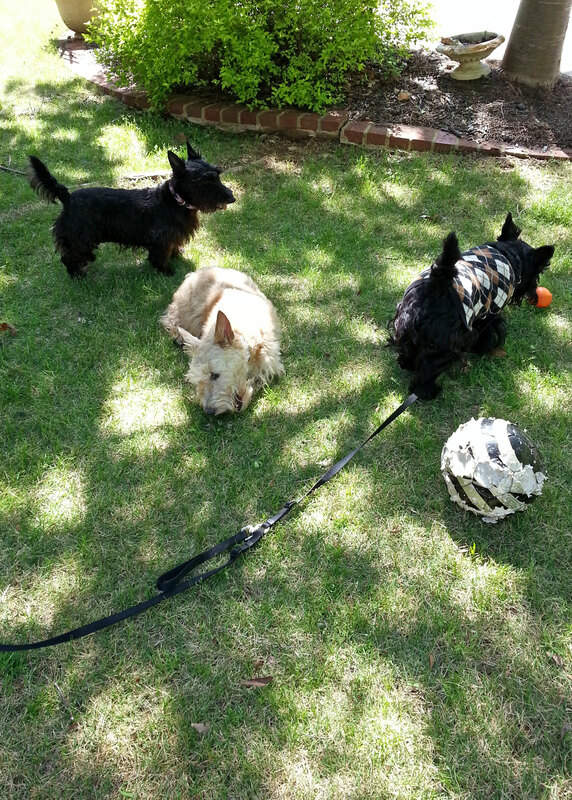 The Scottie trio (plus retriever friend Moxie!) 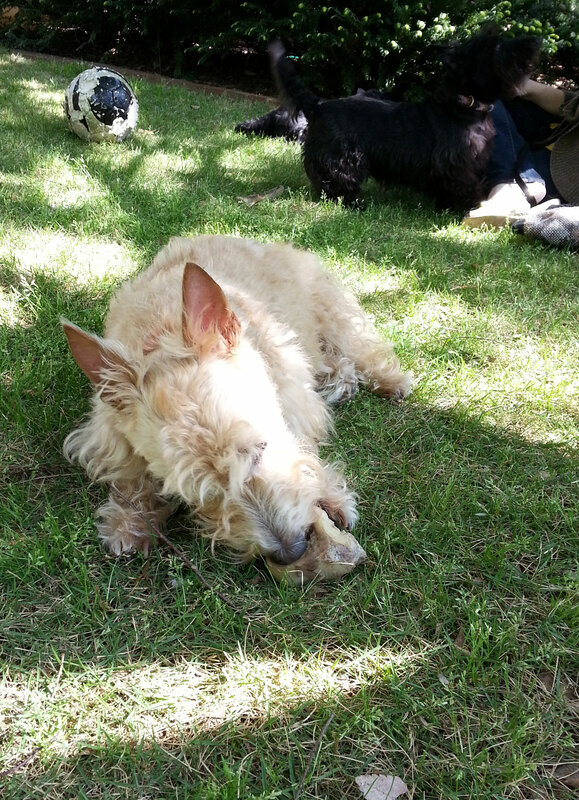 enjoyed an afternoon of hoarding toys, chewing bones and playing fetch. In fact, Heather and Mr. K have done nothing but rest their eyes and enjoy a good meal since coming home. 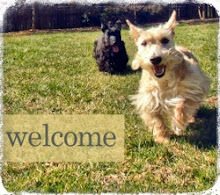 Many thanks to Valentine's Scottie Mom for having us over! 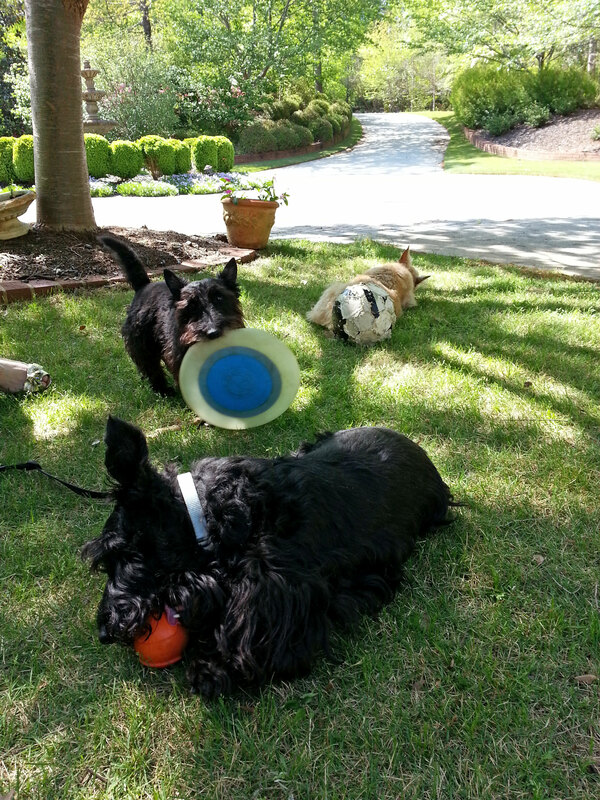 What could be better than a lawn full of Scotties :-) Great pix! It's great to have friends to play with and it's great to return home and rest! Wow, you do look like you are all having a great time. 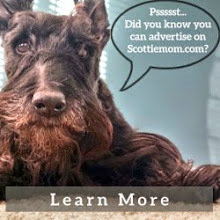 And what a beautiful place your scottie friend has. Next time, can we come too? 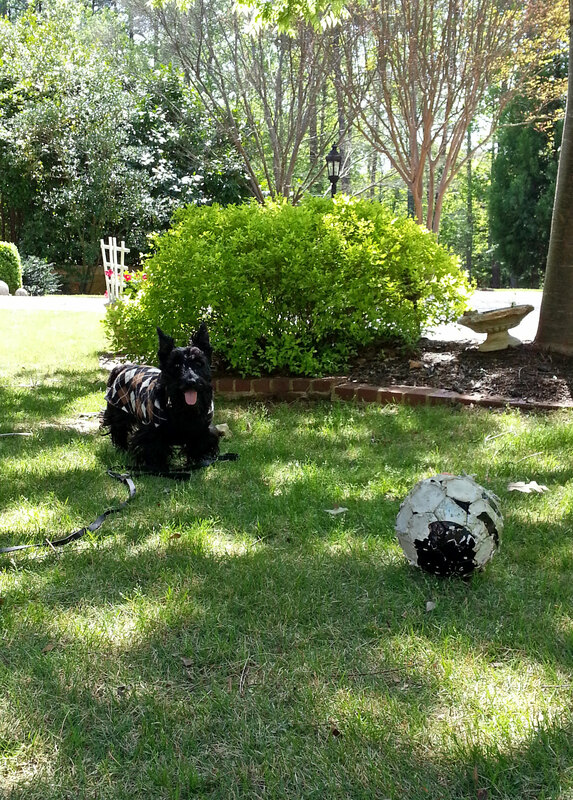 That is what soccer balls end up looking like at my house also! Too many adorable Scotties! Can not take it! XD A scottie in a checkered sweater! Way too cute!